There is certainly some validity in these critiques, but none of what I’ve read here is even close to understanding what Vipassana is really like or what the people who come to a course learn, or what the people who have done it – or other meditative practices – for a long time are really like. These critiques – except for Trungpa, whom I highly respect and have studied a lot, including the book you reference – are all on some ethereal and theoretical level. And frankly, they don’t make a whole lot sense even there if you know anything about Buddhist practice or the sutras. Again, I agree that there are issues with Vipassana as a practice and as an organization, but you’re not touching on them! Talk to some real people about it if you want to do a critique, don’t just quote a bunch of academic crap. The fact is, this practice, and many other so-called “dissociative” practices, really help people to live more productive lives and deal with all those ego-based problems. If you read my post, you saw the part about ‘constant and thorough awareness of impermanence’ – this is not just theoretical, it’s deeply changing one’s perspective on all this material existence. Not dissociating from it or denying it or any of that, just seeing it very clearly as exactly what it is… which is very liberating. I’m not into doing a lot of arguing or debating all this, which I see as just counter-productive, so don’t expect to hook me into that if you’re just trolling here. I just want you to think about this clearly and be sure you’re not just serving some other agenda… not sure what that would be, as I haven’t read anything else you’ve said, but it reeks of something. Mostly of narrow academia, but maybe there is another agenda…? But please, keep reading Ryan’s blog, maybe you’ll get some better ideas of what we’re really about here. I will be touching upon the actual issues of the meditation itself in part two, which is being written and formatted now. I elected to end the current entry where it was due to brevity. The reality is humans today only have so much of an attention span, and this subject, and the critique that will follow, is Immense in it’s depth, therefore I began to merely set the stage. The next blog entry may be much longer than this one, or I may need to split this to three parts, instead of two. HOWEVER, the error with Vipassana, which will be explained in the next entry, is the use of a BRAHMIN practice, being stated to be a BUDDHIST practice, which it is not, and then the Stockholm syndrome style collective narcissism it creates from there. Again, it will be more adequately explained in the second entry, with more examples given, to illustrate this fact. What is a life if you alienate everyone that actually cared for you to only associate with those that are within the same cult as you? That is what Trungpa is stating, by the way, and what I believe you missed in his statements. Why do we call out other cults, such as Scientology, however because this is supposed buddhist (It’s not. It has nothing at all to do with buddhism) this cult is “okay”? I will state merely remain posted, subscribe, and see how this is fleshed out. Sometimes it takes someone from the outside looking in to show those indoctrinated what they are willfully ignoring. Yeah, I guess only you Tibetan lineage folks are really “Buddhist.” Which is pretty ironic, actually. Just seems like a lot of semantic games to prove that yours is the only true practice. All of which is quite familiar to me… Why is it people can’t just do practices that are helpful and not have to be told what they should and shouldn’t do by someone else? See, that’s what you’re missing by not talking to actual people… this is a very helpful practice for many people. – Anyway, I don’t want to argue, as I said, but I’m not getting much out of this critique. But I’ll check out what else you have to say in Pt. 2. The issue is that it’s NOT a “buddhist” practice at all. It is based in the hedonism of the Brahmin, the same caste system the man credited as buddha sought to escape? When buddhism became mahayana, just as the romans consolidated all religions into catholicism, for control of the masses, the ruling class, the Brahmin, also infected buddhism with the exact poison the buddha reached enlightenment to no longer be held by. Knowing our accurate history is a very good way to understand motivations and intentions of practices. Because the practice is NOT helpful, and there have been buried studies that show that, as well as the behavior of you, as I am encountering here, which actually SUPPORTS the original “cultism” argument. Just came across this after my comment – it’s a pretty interesting critique of mindfulness meditation, and also very on target, in case you’re interested. Mindfulness meditation and vipassana are not the same thing. If the two are being conflated, there is a grandiose error there. I’m aware of that. Just that his critique of ‘mindfulness’ is much more to the point than your supposed critique of Vipassana. You are attempting to compare apples and oranges, with a blog about mindfulness meditation to critique an admittedly incomplete overview of the cultism of vipassana? That is a very poor way to debate. Yet you quote this from someone – ““These days, Vipassana/Mindfulness meditation is practiced by the practitioner having the intention to be an impartial observer of some natural process occurring within his or her body, mind or emotions. For example, one is asked to just observe or be mindful of the rising and falling of the abdomen during the process of breathing, or to just impartially observe the incoming and outgoing of the breath itself.” Isn’t this conflating the two? The quote you mention is still on the subject of Vipassana, while your’s was NOT. It was literally excerpted from another critique of Vipassana. I’m failing to see the relevance. You really do need to be more informed on Vipassana if you’re going to critique it! I will not even respond that. I am approving the comment, for posterity, however I will not respond to baiting. Actually, I am not interested in debating you, just trying to give you a little perspective that you seem to be lacking – and admittedly, it irritates me a bit to read someone purporting to analyze or critique something without really understanding it. Just as an example, your comment to me “What is a life if you alienate everyone that actually cared for you to only associate with those that are within the same cult as you?” shows you don’t really know Vipassana. For nearly all of the people who practice Vipassana, going to a Center is something they do once or twice a year. The rest of the year they live in the same place and with the same people as they were before, and some may meet once a week or once a month – in urban areas – with a group for meditation. So they idea that they belong to a cult that alienates them from those they care about is off the mark. A tiny percent of them go a Center occasionally for some period to do long-term service. A very tiny percent become assistant teachers, but even these still maintain a normal life with their friends and families… So I just don’t know what you’re talking about. Most of what you have said about Vipassana doesn’t ring true to my experience of it. 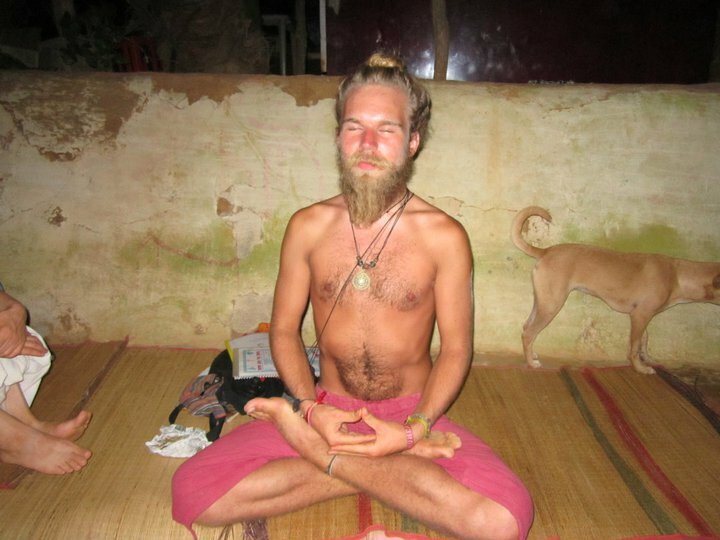 It seems one thing Vipassana has NOT taught you is HONESTY…..
1. “shows you don’t really know Vipassana.” – That’s what you took from that? You didn’t ascertain I may have a personal experience with it, that correlates to other similar experiences, most visible of which being the death that occurred in Arizona? 2. “they live in the same place and with the same people as they were before,” – Pardon? Is that not EXACTLY how cults operate? 3. “and some may meet once a week or once a month – in urban areas – with a group for meditation.” – Meditation is a SOLITARY process. The error that has become rampant is “Guided” meditation (hypnosis. Funnily, Chuck Palahniuk did a great take on this in his novel, “Choke”, as an instructor led mastubatory fantasy…. ), and there is reason it is MEANT to be done ALONE. When you are alone, the only thing you face is YOU, YOUR “self”, YOUR subconscious. When you have other fragile Ids doing the same practice with you at the same exact time, the Id has been given something to latch onto. It “knows” it’s not “alone”, and takes comfort in that. You’ve not progressed, you’ve just learned a new trick. That’s what the Id does. You say you respect Chogyam Trungpa Rinpoche, however that is in the FIRST CHAPTER of “Cutting through spiritual Materialism”, which, if you read it, you obviously did not UNDERSTAND it. The rest of your statements are as assumptive as number 1, therefore I know I am not speaking with a learned individual, and you are definitely not a dharma practitioner, as you are adversarial, and YOU are the one actually “trolling” at this juncture. Do not lead off with, “I’m not interested in debating with you…” and then continue to make your point. What you betray is a “need” for dominance, which you will not achieve here. – which is a behavior I see OFTEN from vipassana “devotees”. And that’s the point – the practice has taught you to protect the group, protect the practice, take any critique of it as an attack to YOU PERSONALLY. Wait – not making sense of this. What about the part that says “alienate everyone that actually cared for you to only associate with those that are within the same cult as you”? How is that the same as maintaining all one’s old relationships and simply doing a different meditation practice? See the point I’m making is that no one I know in Vipassana has alienated those they care for, nor do they only associate with other Vipassana people. Is that clear? I mean, you just keep twisting what I say and painting me as some brainwashed idiot and saying unkind things about me and then claim I’m not a true practitioner… As for point 3, yes, most of the people I know do meditate alone most of the time. They meet occasionally, very rarely actually, to meditate for a few hours with others. That’s known as the sangha in most of the other Buddhism I’ve been involved in, so I just don’t get what you’re saying. Certainly doesn’t make it a cult. I am sorry if I seem negative or argumentative, but what you say doesn’t make sense in the context of my 40 years or so of involvement with Buddhism. Let me be clear: I was very involved in Zen for a while, and have practiced Vipassana for 5 years and found it helpful, but I have always been able to keep a fairly detached perspective and observe it. Recently, the last year or so, I have had serious doubts about the practice, and now consider it as something I am involved in but not dedicated to and certainly not a “devotee.’ As I said in the beginning, there are issues, practical and theoretical, but it doesn’t seem to be the way you paint it. So I’m just trying to point out to you that if you want to do a serious critique you should get some better information, some more perspectives – because honestly, what you are describing seems like a different animal altogether. So that you know I have no interest in whether you listen to this or not, and am not trying to establish ‘dominance’ or whatever unkind thing that was you said, I am out of this conversation. Whatever you do now you do without my presence or comment! Best of luck! 1. “How is that the same as maintaining all one’s old relationships and simply doing a different meditation practice?” – But that’s not what you SAID, is it? It may be what you meant, however, it’s not what you SAID. Which carries over into point TWO…. 2. “…and saying unkind things about me and then claim I’m not a true practitioner… “ – Pardon? An observation is now “unkind”? Your responses are the same trained responses I am accustomed to receiving from vipassana devotees, therefore it is of no fault of mine all of you speak from the same script. That is what I have noticed vipassana devotees lack, and what it trains you to lack, due to the immense amount of “self” focus that is part of the practice. You have forgotten others exist. It has literally become all about YOU. Empathy exists in that you are able to put yourself in the shoes of others, to be able to see THEIR perspective, as well as your own, as well as the ability, because you EMPATHIZE with them, to explain things in a way that ANYONE may understand it. Empathy is also necessary for compassion, whether it be caring or ruthless (still caring, but in a “tough love” way) compassion. I am noticing, in how you respond that that is what you lack. You may “feel” you have it, however you do not. This is illustrated in your defensiveness, and I mean defensive in that you could have preceded with the fact you were no longer a devotee, but also that you could have stated everything you stated in a non-controlling way. As for what makes it a cult, besides what I have already mentioned, you will see that in part two. Your “I’ve no interest in debating with you…” while then proceeding to make your point, also betrays this, as I stated before. You want to “Instruct” with no argument. However you are not a “Faquir”. I know that method, and practice it daily. A faquir also would not have become defensive, and I truly mean you are defensive. Did you MISS the line where I stated I have had several personal experiences with Vipassana ( “So I’m just trying to point out to you that if you want to do a serious critique you should get some better information, some more perspectives – because honestly, what you are describing seems like a different animal altogether.” ) or did you elect to IGNORE it? You opened up a discourse. Expect to be disagreed with, process it, reply accordingly. As for your 40 years in buddhism, I have 25 years, and never accept anything as gospel. I bother to question, as it is the way to learn, and as more research comes to light, that I always felt, and is now confirmed by the new research, I keep and open mind, consider it, and catalog it. And you become defensive (cognitive dissonance) when you hear that research, as though you are “grasping” or “clinging” (are you aware of those concepts in buddhism????) to what you THOUGHT you “knew”. As for the “sangha”, that is a western creation, to my knowledge, and one we created to become similar to a congregation, as our roots seem to be in the tribalism that came from paganism, that transferred into catholicism and christianity. I don’t remember Bodhidharma being concerned with Sangha. Neither was, supposedly, Siddhartha himself. So, why do we need to cling to a “community” to practice? Yes, I feel you have “lost the plot”, as have the majority of those supposedly practicing “buddhism”, and yes, as a Karma Kagyu practitioner, I will counter it, initiate dukkha, and hope that it will cause you to reflect, review, and research what you “think” you “know”. All this is very confusing. Vipassana has been practiced by Buddhist monks in Burma for centuries, yet you say it’s not Buddhist. Tibetan practice owes probably as much to Bon and Dzogchen as to Buddha, yet you seem to consider it Buddhist. Then you say something about when Buddhism became Mayhayana it became infected with Brahmin ideas… yet Vipassana is out of the Theravadin tradition, way predating Mahayana. You just don’t seem to have this stuff right, yet you’re presenting a critique. Again, I am not interested in debate, just in pointing out to you that you don’t seem to know what you’re talking about. Not that I really care, but then, you did reference my article, and sucked me into this… so I think unless there’s more here than meets the eye, I’m done with the conversation. You really do not know your history, do you? You only know the propaganda fed to you by Vipassana. Are you aware that what you know of as Buddhism, and also Vipassana, was actually fed back to Asia by German and English romanticists? Are you aware that even India really has lost track of their own spiritual practices, and thus even THOSE were fed back to THEM by English and German Romanticists, in an effort to halt western missionary practices attempting to convert them to christianity? Are you aware that even yoga was modified to absorb our christian belief system, to make it more palatable to the supposed western mind, therefore, again, the actual origin practices have been lost in the morass of a non-structured non-system that India really had no records of? I feel YOU need to know more of what you speak of, before attempting to counsel ME. Well… I’m really looking forward to reading about ‘Psytrance as Cult’ and would love to skype with you about it at some point. Very interesting idea! As soon as I have completed part two of the Vipassana Blog, I will be going “full on” , 😉 , into the psytrance cults series. So many conversations to include in that series. Still don’t really get what you’re saying here, tho must admit, I couldn’t bring myself to read any more of your responses since I bailed. Even tho I do now see that maybe what I’m interpreting as unkind is just the Vajrayana way… crazy wisdom, all that. Again, I suggest you actually talk to some Vipassana people. In a non-attacking way, maybe? They’re not as you portray them. The entire purpose of this site is a focus on spiritual materialism, it’s destructive nature & consequences, and a motivation to look at things with singular and critical eyes, versus the eyes of collective maya. I do feel you keep missing that I have had MANY PERSONAL experiences with Vipassana devotees, one of which will be featured in part two, and thus I come from a background of knowledge of meditation, as well as experience with cult behaviour, Vipassana included. I am, again, glad this was able to motivate you to read Trungpa again, with different eyes and understanding, and hope future blogs will do the same for others as well. What is being practiced now as buddhism, due to the “new age takeover” of spirituality and yoga, and conflating two inherently different practices and belief systems, is no longer buddhism. To ME, if it is to survive and evolve, it needs to break away from the obfuscation of maya it has become. I am always open to differing perspectives. I have looked at the link you have provided and am now re-editing my follow up blog to include information from it. This may now become a THREE part blog entry.